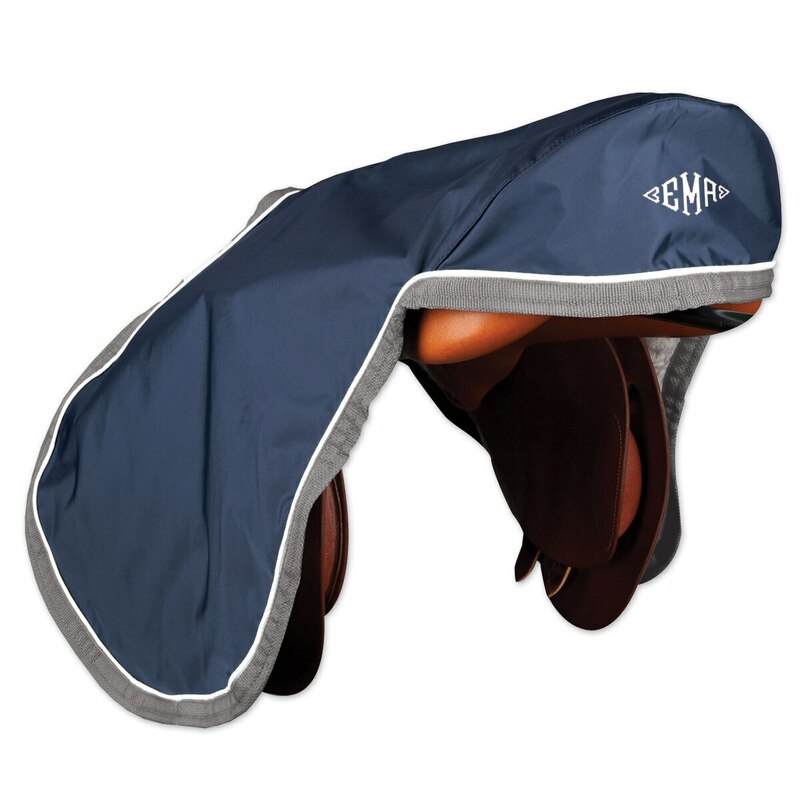 The SmartPak Saddle Cover offers a custom look without the wait time! Love our line of custom SmartPak gear bags, but don't love the wait time? We now stock select colors for immediate ordering. No matter what discipline, quality tack will last longer and stay show-ring-beautiful when protected from the dust, dirt, and scratches that go along with barns and traveling with horses. Western (fits most western saddles). SmartPak Saddle Cover is rated 4.6 out of 5 by 45. Rated 5 out of 5 by Whoalori from Looks very nice and offers protection from dust Received several compliments! My monogram looks great on the cover. It would make a nice gift, too. Rated 5 out of 5 by gibs0285 from Love it! This is the second one I have bought - it's a quality product. Rated 5 out of 5 by avc530 from Great Cover! This cover was great! I thought the fabric was good quality and I like how the inside is fleece. Its also really easy to put on and it fits my 18", long flap saddle. Rated 1 out of 5 by Carson from Small, not thick, and flimsy I thought it would be a legit saddle cover. It was basicly some thin tarp like material with a elastic band underneath, very disappointed. Rated 3 out of 5 by Saddle dust cover from Poor embroidery work- nothing like the picture The saddle dust cover that I purchased was nothing like the picture. My horse's name was supposed to be embroidered on the cantle. When the product arrived the name was down on the fender area and in very small print. I was very disappointed. Rated 5 out of 5 by MeinMI from Works great with webbers/monostrap I've been looking for saddle covers that will work with my monostrap leathers. This cover works perfectly! It drapes nicely over the saddle and stays secure even on a bouncy trailer. Rated 5 out of 5 by Caitlin from Great cover for dressage saddle This cover fits my 17" dressage saddle perfectly and keeps the dust off. There is a strap that you can put the saddle flap through to keep it in place, but I only use it when I travel. I love the hunter green color too!